DETROIT, Mich. April 10, 2019; J.D. 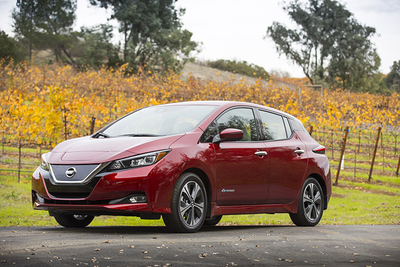 Power recognized the 100 percent electric Nissan LEAF as the highest rated redesign for its inaugural J.D. Power Engineering Awards, presented at the Society of Automotive Engineers 2019 WCX World Congress Experience. "This award is a credit to hundreds of Nissan technical professionals here in the U.S., as well as in Japan," said Chris Reed, senior vice president of engineering at Nissan North America. "Any vehicle redesign requires a massive amount of coordination across many functional teams, and I am very proud of the excellent vehicle this effort produced which has been recognized by J.D. Power." "While J.D. Power has become known for benchmarking quality in all phases of the automotive industry for the past 50-plus years, we wanted to recognize the achievements of the engineers who translate concept vehicles into practical road vehicles," said Doug Betts, senior vice president of global automotive at J.D. Power. "Nissan launched its first LEAF vehicle in 2010, and their engineers were able to utilize the lessons learned from that vehicle and successfully apply improvements to the redesigned vehicle."